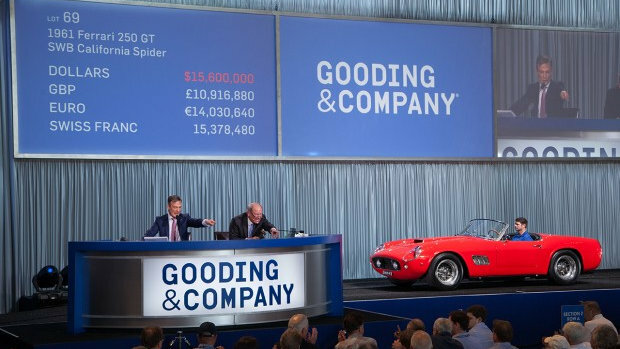 The hammer came down at $15,600,000 but $17,160,00 was due for this 1961 Ferrari 250 GT SWB California Spider. This set the new Amelia Island record and was also the highest result ever for a car sold at public auction by Gooding & Co. It was the tenth highest price ever paid for a car at auction.